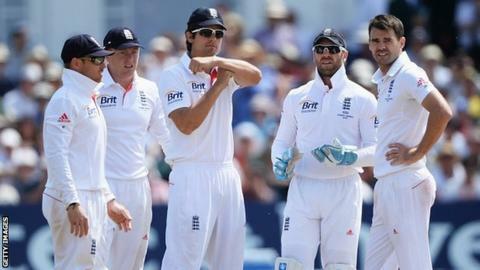 Umpires in the Ashes series between England and Australia will use a real-time Snickometer and HotSpot to help detect contact between bat and ball. The technology aids will form part of the decision review system (DRS) after the host broadcaster and company that makes the equipment reached agreement. HotSpot's thermal imaging caused controversy during the summer Ashes when it failed to detect faint edges. But it is hoped that the two devices together can help eradicate errors. What are Snicko and Hot Spot? Snicko uses soundwaves to detect if a batsman has edged a ball, while Hot Spot uses thermal imaging cameras. While there have been instances where a faint edge has not shown on Hot Spot, it is hoped using the two tools together can create a better decision review system. Cricket Australia said on its website: "Real-time Snicko will be part of the DRS. Both teams' boards have agreed to do it. "We had a difficult negotiation but thankfully we've come together. We're thrilled to have Hot Spot continue as part of the coverage. "We're all about the best technology in the world. We feel that is among it and are looking forward to adding to that with the real-time Snicko, which we think will add to the viewers' experience and also help in the decision-making process for umpires. "It will change the DRS. We hope you won't get the mistakes." The first Test between England and Australia in Brisbane begins on 21 November. The International Cricket Council will use the series as a trial of the real-time Snickometer, with a view to its permanent introduction as part of DRS.